Welcome back for the seventh day of Mayfairstivus, the nine day celebration of Mayfair Games’ DC Heroes Role-Playing Game! 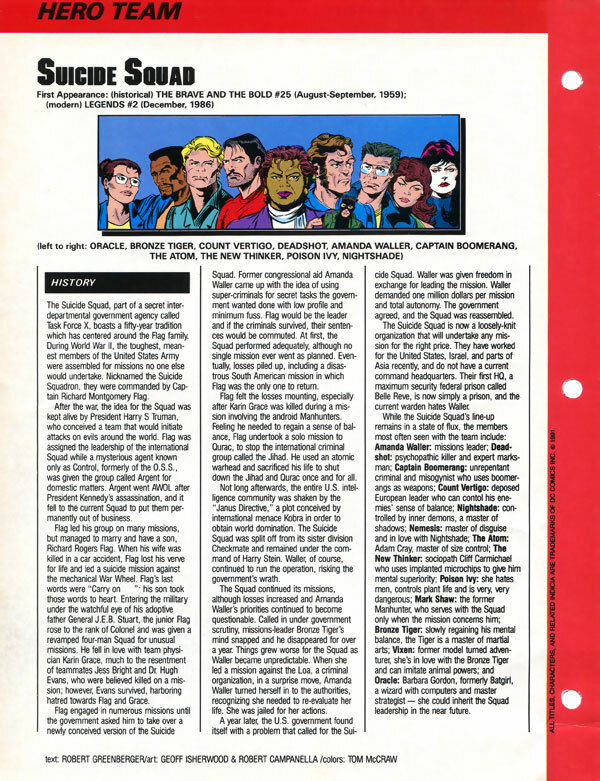 Today we’ll be looking at the RPG statistics for a couple of Firestorm’s foes/antagonists: the new Thinker (a.k.a. Cliff Carmichael) and Brimstone. Below you’ll find the DC Comics Who’s Who entry from 1991 that includes Cliff Carmichael as the new Thinker (he’s the one in the top left hand corner). Back when Cliff was bothering Ronnie Raymond on a regular basis, he wasn’t yet a cyberpunk maniac. That didn’t happen until Cliff was exiting the Firestorm series and moving over to the Suicide Squad series. One of the best never-seen moments must have been when they shaved off Carmichael’s mutton chops. I’m sure the Suicide Squad had some mutton chop threshold that Captain Boomerang was already exceeding. 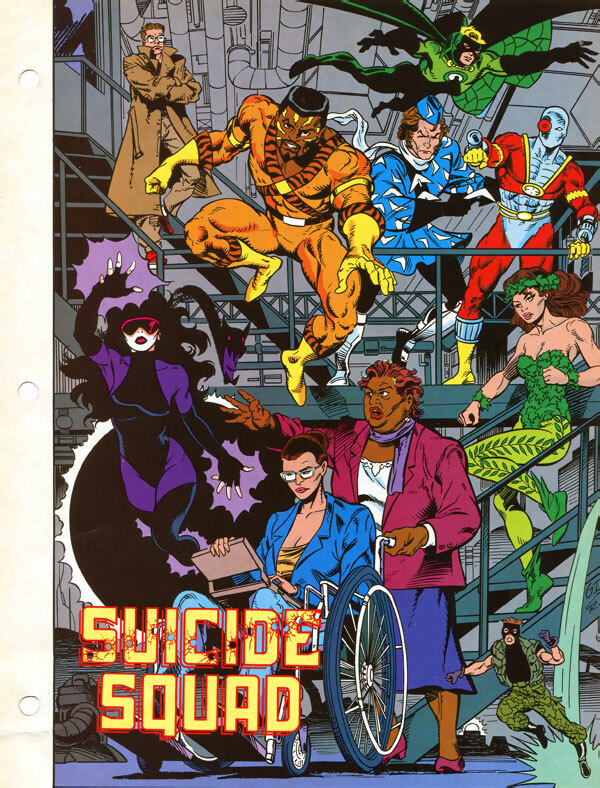 Cliff never faced Firestorm as the Thinker during his time with the Suicide Squad. Cliff returned over a decade later in his Thinker persona to battle the Jason Rusch Firestorm. This was during Firestorm vol. III #11-13, when Jason was merged with a sort of matrix-ghost of Ronnie Raymond. 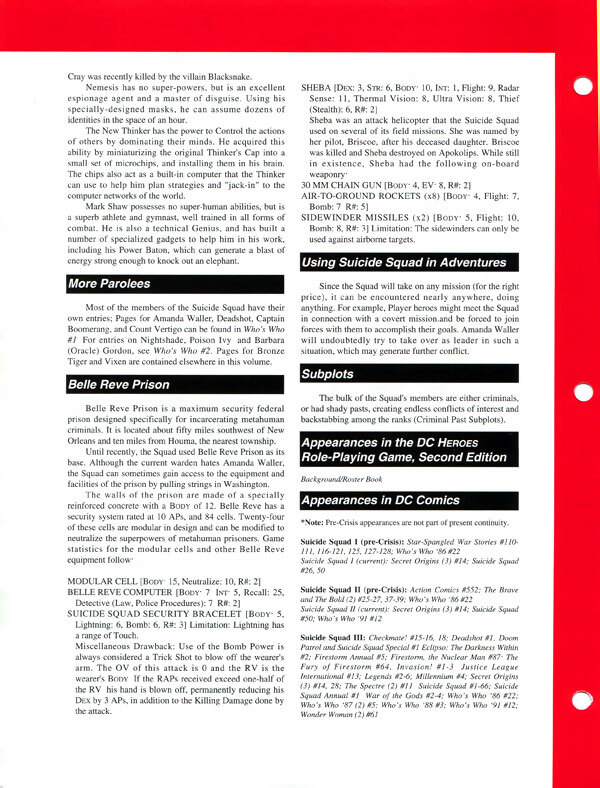 Below you can read the Suicide Squad Who’s Who entry, including the bits about the new Thinker. Click the image below to enlarge. Below you’ll find the Mayfair Games’ DC Heroes Who’s Who corresponding entry for the Suicide Squad (including Cliff Carmichael’s RPG statistics). Click the images below to enlarge. 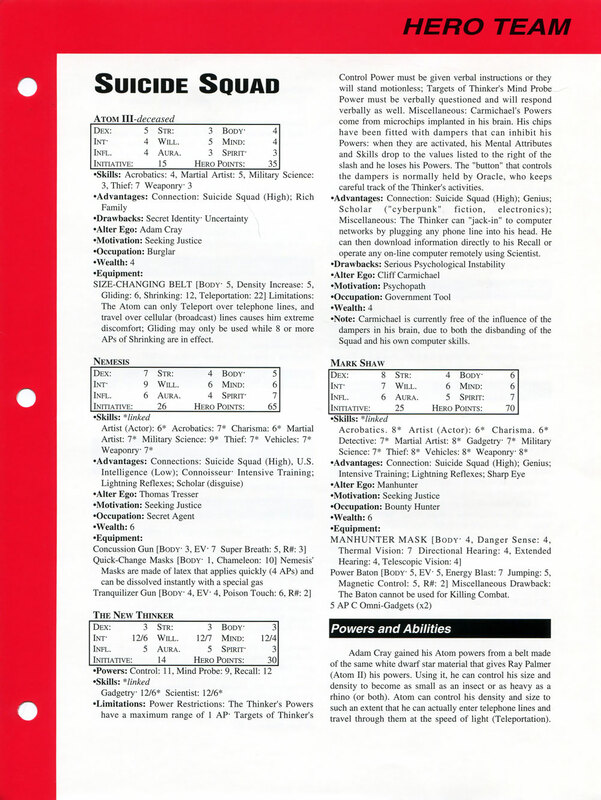 Next up you’ll find the first edition stats for Brimstone from 1988! While Brimstone began as a world-wide threat during the Legends mini-series, he quickly seemed to become a Firestorm villain. In fact, Brimstone fought the first three incarnations of Firestorm. The Ronnie Raymond/Professor Stein original Firestorm battled Brimstone during Legends. A while later the “Blank Slate” Firestorm battled Brimstone in his own series. Finally the Elemental Firestorm battled Brimstone in Firestorm #100. Come back tomorrow when we look at the RPG statistics for the Weasel, Mindboggler, and Stalnoivolk! Posted in: Crossover, Firestorm #01: Original (Ronnie/Martin), Firestorm #02: Blank Slate (Ron/Mikhail/Stein), Firestorm #04: Elemental II (Martin), Rogues Gallery, Ronnie Raymond, RPGs, Who's Who. His codename is actually The New Thinker? Or was he just referred to as The New Thinker in the game to differentiate him from The Thinker? I’d love to see a three-way dance between The Thinker, The New Thinker, and The Mad Thinker. You ever notice that if you say certain words too often, then lose all meaning? “Thinker” is such a word. @Luke – I think his name was simply “The Thinker”, but he was often referred to as “The New Thinker” in reference material. I’m not sure if the word “Thinker” loses all meaning or not. I try not to think too much. I’m dreaming of a white Mayfairstivus! Another great post in this quirky yet fun series, this may be my favorite. I have always been fond of Cliff Carmichael but mostly I remember him from the FOF days. He was the guy you love to hate, a perfect foil for Ronnie Raymond, and a 1st class jerk. I never knew much about his time with the Suicide Squad, but enjoyed his appearance in the Jason Rusch Firestorm series. So sad that they killed Carmichael off so quickly after he fought Jason Rusch…. I keep forgetting about all the stats snuck onto random stuff like these team entries. Maybe I’ll make an Adam Cray character card in 2011. He must have had quite an extensive early G.I. Joe/Captain Action/Big Jim’s P.A.C.K. wardrobe selection. great posting Shag! i had no idea Cliff was a character in Firestorm before he showed up in the pages of the Suicide Squad. i’ll be having a posting in the near future on my Suicide Squad blog that will feature him and show one of his best sadistic moments.